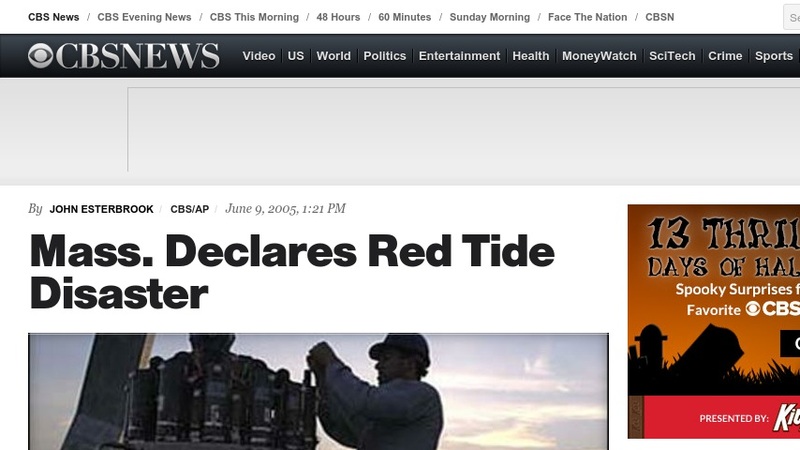 This CBS news article provides very general information about the massive red tide outbreak in New England in 2005. The article states that the outbreak is costing the shellfish industry $3 million per week, forcing Massachusetts to declare a state of emergency. The article features related external links.